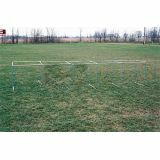 The Speed Hurdles are an effective training tool for athletes of all ages and disciplines. 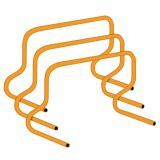 These lightweight plastic hurdles are ideal for speed and jumping drills, and simply adjust the space between each hurdle for stride length drills. 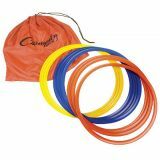 The 12" Speed Hurdle Set is an effective training tool for athletes of all ages. 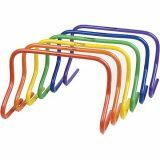 This set of 6 lightweight plastic hurdles are ideal for speed and jumping drills, and simply adjust the space between each hurdle for stride length drills. 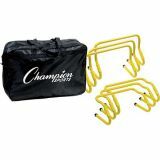 The heavy-duty 12" Weighted Training Hurdle Set is tip resistant and offers optimum stability. 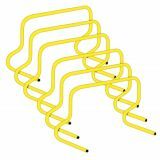 This set of 6 weighted plastic hurdles are designed for speed and jumping drills, and simply adjust the space between each hurdle for stride length drills. 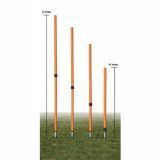 3 Unit Wall Chinning Bar 124"
The Champion Sports Adjustable Agility Pole Set is adjustable from 43" to 72" high, making it easy to use for any activity. 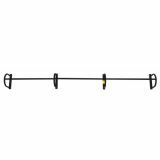 The set of 4 adjustable poles sit on spring loaded spikes, and come with a handy carrying bag. 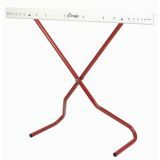 The Adjustable Hurdle Kit is versatile training tool for athletes of all ages and disciplines. 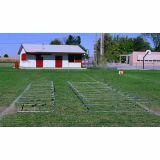 This kit includes six adjustable hurdles that can be set from 9-12" high. The hurdles fold up for easy storage, and come in a convenient carry bag. 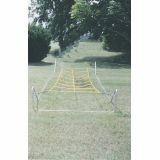 The Adjustable Training Hurdle collapses for safety when hit, making it perfect for both beginners and advanced! 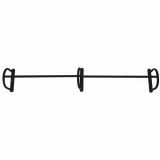 Made with powder coated steel legs and a high impact plastic cross board, the hurdle adjusts to eleven different sizes, from 6" to 42".